1.High oxygen transfer rate,BOD easy to remove from wastewater treatment. 2.Mixing and stirring applications for uniform MLSS due to fine bubbles convention. 3.Dry motor with overload protector;Cable with an epoxy resin sealed water-proof cable hood; Use deep groove C3 bearing to extend life time. 4. Adopting cast iron FC200 material on motor housing,pump casing and impeller.The pump is coated with Epoxy.It's better corrosive-resistant and rust-resistant than common paint. 5. Adopting superior abrasion-resistant dual mechanical seals(SIC,silicon carbide material)to ensure best seal effect and reduce abrasion from sewage.It's also suitable for long term running. 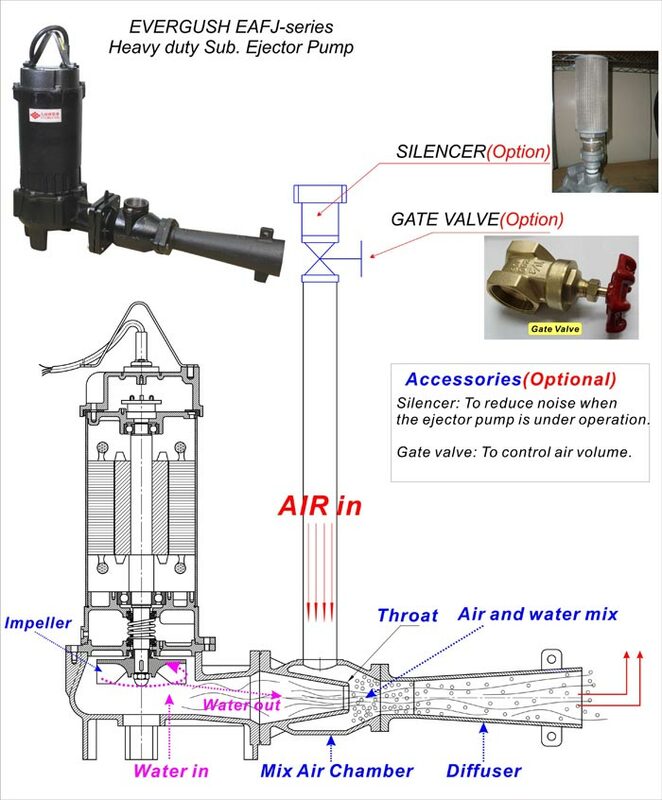 1.Oxygen aeration of wastewater for wastewater treatment. 2.Oxygenated for aquaculture, such as fishing farming or shrimp farming or hydroponics applications. 3.Forbid 24hr continuously running and running submersible pump under lowest running level water level. 7.Air pipe: 1.5" ; 2"